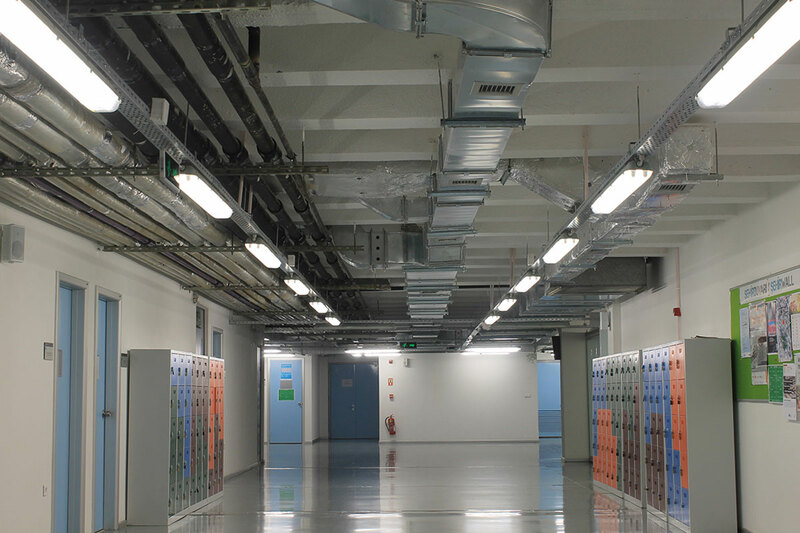 The basement, which previously contained technical volumes and warehouses during the previous function of the building, has been re-used as a living floor with laboratory, conference hall, stationery and various club rooms in accordance with the function of the university. 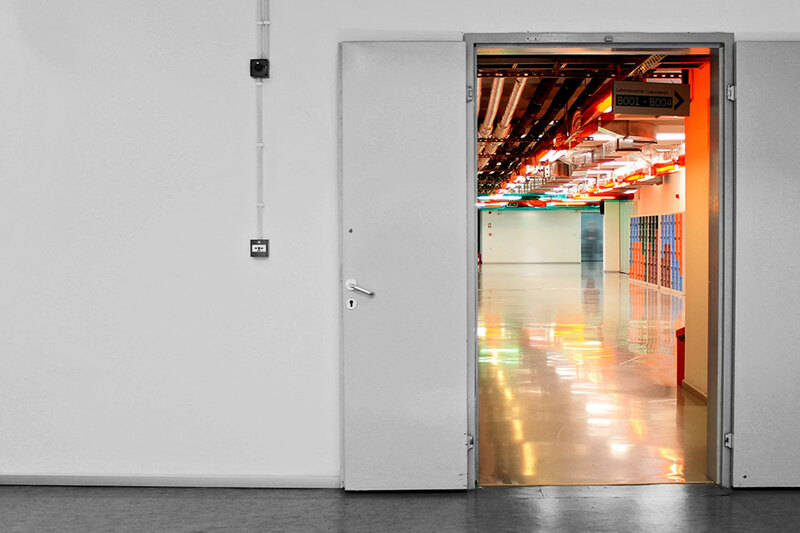 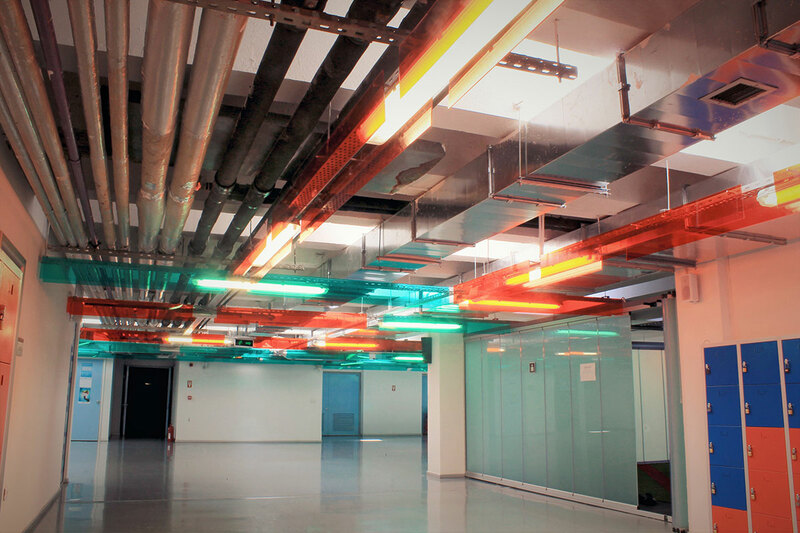 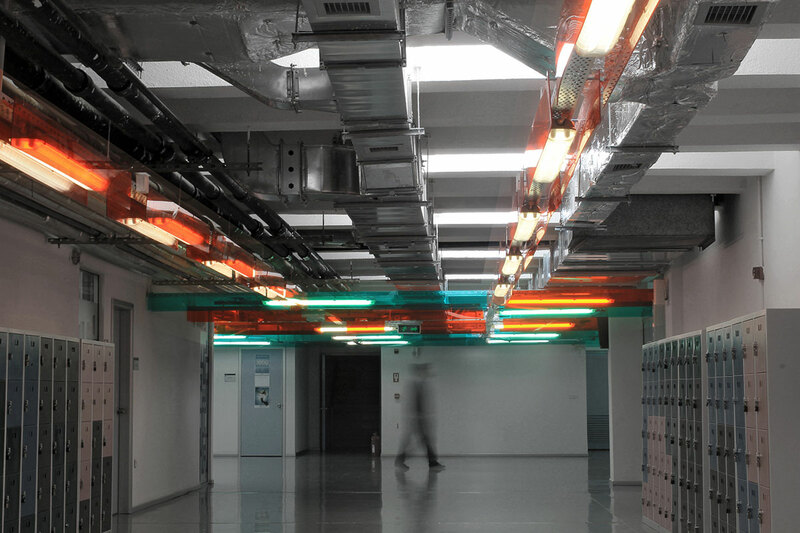 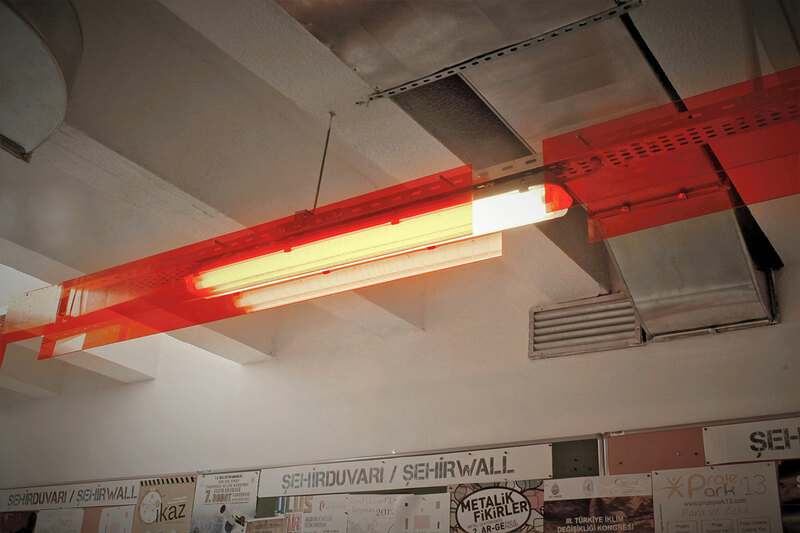 Colored plexiglass panels were designed to hang from both sides of the cable trays which were in the corridors in the previous usage of the building. 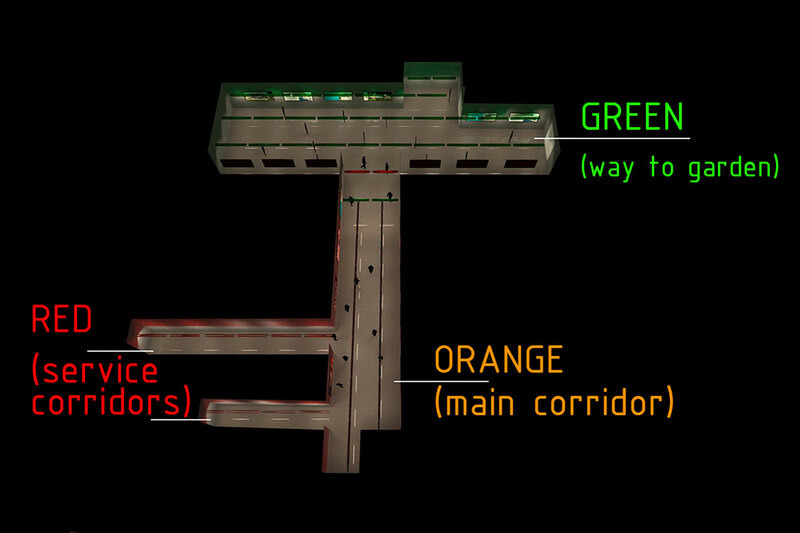 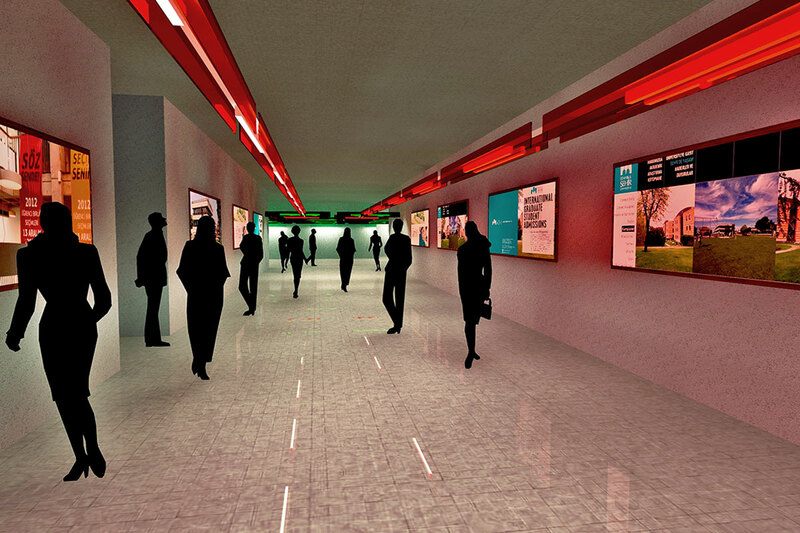 This design aimed to make this corridor will be both colored and less complex.